A multibillion U.S. dollar casino project on Vietnam’s central coast, backed by entities linked to Macau junket investor Suncity Group, is being positioned to appeal to local Vietnamese gamblers, a Suncity Group executive told GGRAsia in an interview. Andrew Lo Kai Bong (pictured), the privately-held group’s chief investment officer, also confirmed that group-related entities would also be involved in managing another new casino resort project planned for the north of that country. Hoi An South, the under-construction central coast casino resort project in Quang Nam province, represents Suncity Group’s ambition to spread its gaming investment overseas, said Mr Lo. “All of our directions for the project and the investments that go with it are geared towards attracting local clients,” stated the executive. The Vietnamese government published in January a decree that paves the way for selected domestic casinos to accept bets from Vietnamese gamblers, for a trial three-year period. Under the terms of the decree, which came into effect on March 15, Vietnamese citizens over 21 years old with a monthly income of at least VND10 million (US$430) would be allowed to enter local casinos and gamble, news agency AFP reported. No resorts have yet been authorised to do so, according to Vietnamese media. The AFP report had noted that only casino resorts with a total capital investment of at least US$2 billion – including gaming and non-gaming facilities – are eligible to welcome Vietnamese to gamble. The Hoi An South project, which covers an area of 985 hectares (2,434 acres), “will occur in seven phases,” said Mr Lo. A Hong Kong-listed entity called Suncity Group Holdings Ltd, chaired by Macau junket investor Alvin Chau Cheok Wa, is to acquire 34-percent equity held by a private company in the Hoi An South casino resort project. The private company is itself indirectly wholly owned by Mr Chau, according to Suncity Group Holdings’ June 22 filing. Mr Lo – also an executive director of the Hong Kong-listed entity – confirmed to GGRAsia that the acquisition is likely to be completed in three months’ time. The casino property is being promoted by Hoi An South Development Co Ltd, a venture between: Suncity Group; Vietnam-based asset management firm VinaCapital Group; and a subsidiary of Hong Kong-based Chow Tai Fook Enterprises Ltd. Despite the Vietnamese government only proposing gambling by locals on a trial basis, Mr Lo said Suncity Group still remained confident regarding the prospects for the Hoi An South project. He confirmed the Hoi An South project developer would apply to be part of the local-gambler trial. Even if Vietnam imposes no restrictions on what regions or projects can run pilot schemes allowing locals to gamble, one major international casino investor has indicated it will adopt a wait-and-see approach. “We’re not necessarily in love with the conditions or the three-year test period,” said Sheldon Adelson, chairman and chief executive of Las Vegas Sands Corp, in comments to investment analysts on the group’s first-quarter earnings call on April 26. GGRAsia asked Mr Lo about the risk of Suncity Group being early to market. “I believe that when doing business in an emergent market, you just have to follow their rules… we will follow the country’s requirements: by doing that I think there is a big chance we will get there [have success],” he stated. Phase one of the Hoi An South development plan, which is due to be completed in 2019, includes the building of a so-called integrated resort complex with entertainment and retail facilities, Suncity Group Holdings’ June 22 filing stated. These facilities include: a casino with a total of 140 gaming tables and 1,000 slot machines; a golf course clubhouse; a “mass market” hotel with 313 hotel rooms; an all-suite hotel with 136 suites; a “hotel villa resort” with 70 units, 30 villas for sale or timeshare rental, and a condominium hotel with 236 rooms. The total investment in the first phase of Hoi An South project would be nearly US$700 million, Mr Lo noted. “One [of the three hotels] carries the brand New World; the other two are the Rosewood suites and villas,” Mr Lo told GGRAsia. “Rosewood is a high-end brand, and it has seen increasing popularity in mainland China following the acquisition of the brand by New World Development,” he stated. Hong Kong property developer New World Development Company Ltd owns the namesake New World hotels brand in mainland China, the Philippines and Vietnam, according to New World Development’s official website. Rosewood Hotels and Resorts was acquired by New World Development in 2011. New World Development is led by family members of the late Hong Kong businessman Cheng Yu Tung, a longstanding business partner of Stanley Ho Hung Sun, founder of Macau casino operator SJM Holdings Ltd. The Cheng family also controls privately-held Chow Tai Fook Enterprises, a partner in the Hoi An South venture. Mr Lo also gave GGRAsia an outline of plans for phase two and phase three of the Hoi An South project, saying such facilities would aim to attract Asian customers. Suncity Group is also undertaking consultancy, design and management services for an integrated resort project in Van Don in Vietnam’s Quang Ninh province in the north, the executive stated. He declined to name the local partner firm, noting only that the firm was “experienced in real estate development and tourism”. “We have a one-third stake in the Hoi An South project, and we are undertaking the management of it. 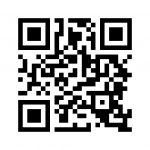 With the Van Don project, we have zero stake in it; but we will still undertake the management of the project. So this is how we maintain our asset-light model,” said Mr Lo. The Suncity Group executive also noted his firm was interested in undertaking casino management services in Europe. 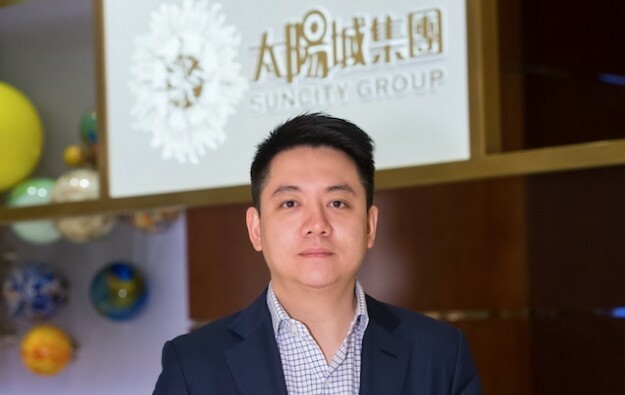 Additionally, Suncity Group is seeking to develop upmarket, “customised” tourism services for clients wishing to visit places that do not have casinos, Mr Lo said. In its home market of Macau, Suncity Group saw the city’s VIP gaming market undergoing a recovery in the third quarter last year. Depreciation of the Chinese currency, the yuan, against the U.S. dollar had spurred some players to deposit money with junkets in the form of Hong Kong dollars, said Mr Lo. The latter currency is overwhelmingly the one used for Macau casino bets and is pegged against the U.S. dollar. 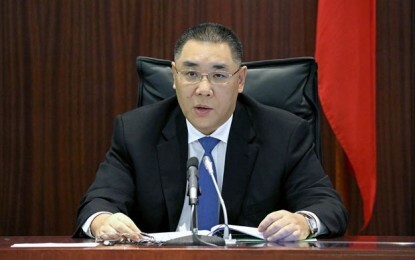 Openings of new Cotai casino resorts and a more robust property market in mainland China had also assisted the growth of the VIP gambling sector, he added. Suncity Group had forecast a “30 percent year-on-year growth” for 2017 in its Macau rolling chip revenue, though Mr Lo noted volume in that segment would still be smaller than the “peak” seen in 2013. Mr Lo also noted that his firm was studying the “best means” to inject its junket business into Hong Kong-listed Suncity Group Holdings.